I just wanted to take some time to share my experience with dealing with rocket exhaust. Cliffnotes: it was great from start to finish. Top notch customer service, and top notch product. 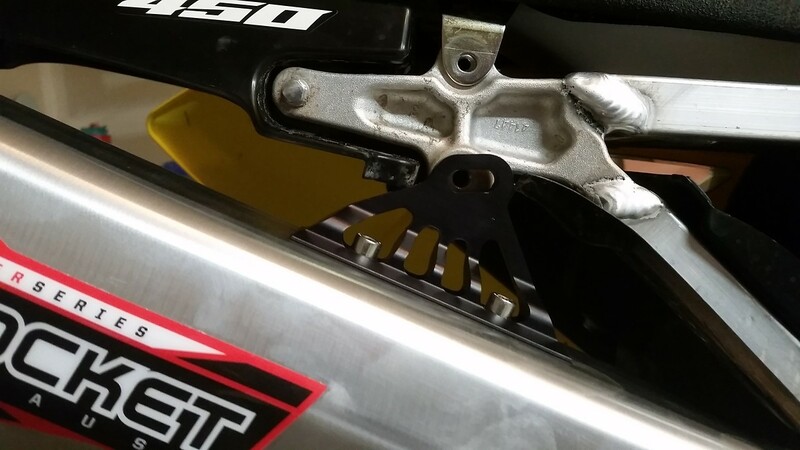 It all started when I wasn’t impressed with the way the power on the rmz450 was delivered. It was very linear, and not really a whole lot of grunt off the bottom. I started shopping around, and didn’t really get any info on how the exhausts changed power delivery. 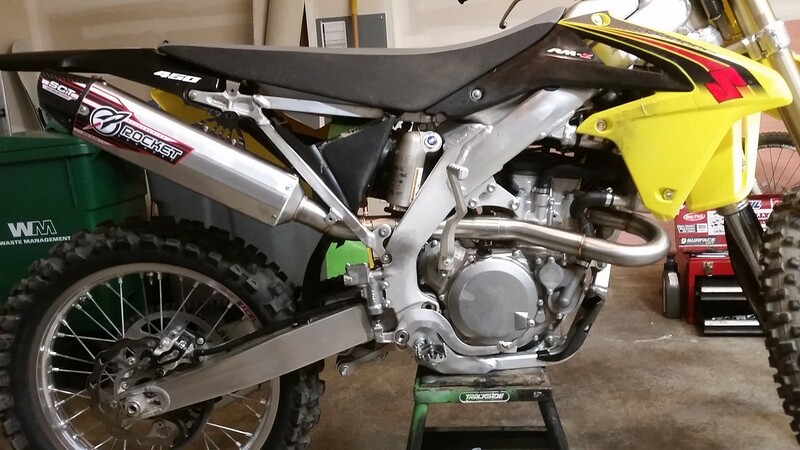 I eventually came to rocket’s site where they said that they could custom make an exhaust to suit the desire of the customer. BINGO. Sent an email off, had a conversation with Don, where he said he could give the rmz grunt down low and make it more lively. 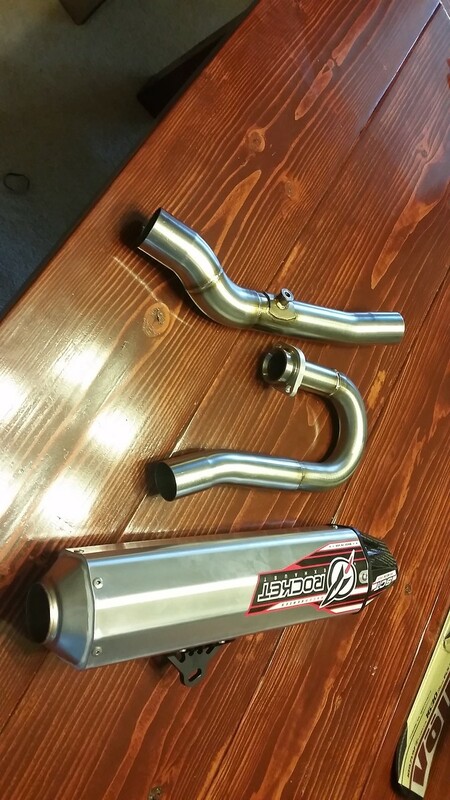 Before I knew it, I had a very fine looking piece of exhaust on my doorstep for a very reasonable price I might add. 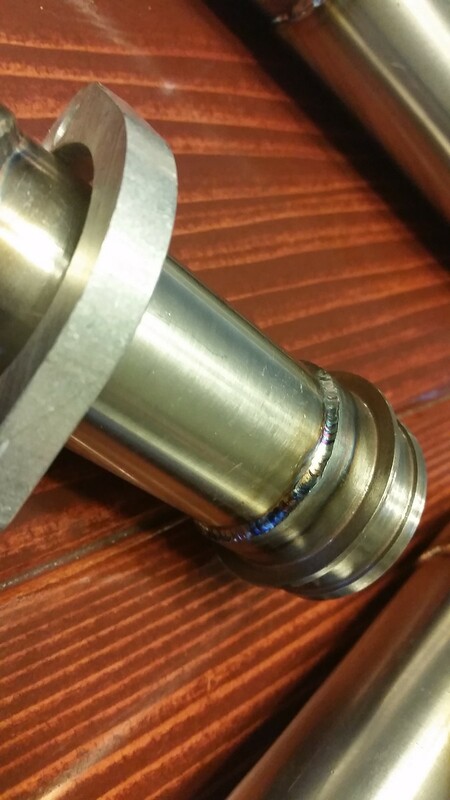 The welds were beautiful, as was the machining. Fitment was spot on! I literally took the stocker off, and mounted the new one on with no fiddling or tinkering with pipes. No interferences whatsoever. 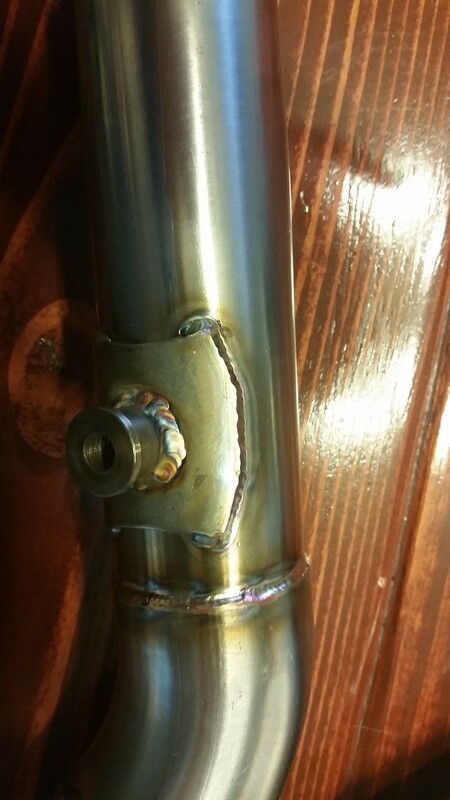 The muffler slit even lined up with the bolt hole dead center! Some people may wish that,it came with a new muffler/subframe mount as you can’t use the stock one as it is too long. But I’m sure the vast majority of us have a spare bolt floating around. After mounting it up, I went out and rode it. It was a night and day difference, the bike ripped right where i was hoping it would. It had power from the Crack of the throttle, and melded perfectly with the strong mid and top that the stock rmz had. As far as durability is concerned, I have about 4 hours on it since Sunday and a fair amount of roost from gravelly dirt and there isn’t a single ding on the header. Overall, I will give the customer service a 10:10 and the product a 10:10 as well. Dealing with Don and rocket was a great experience.